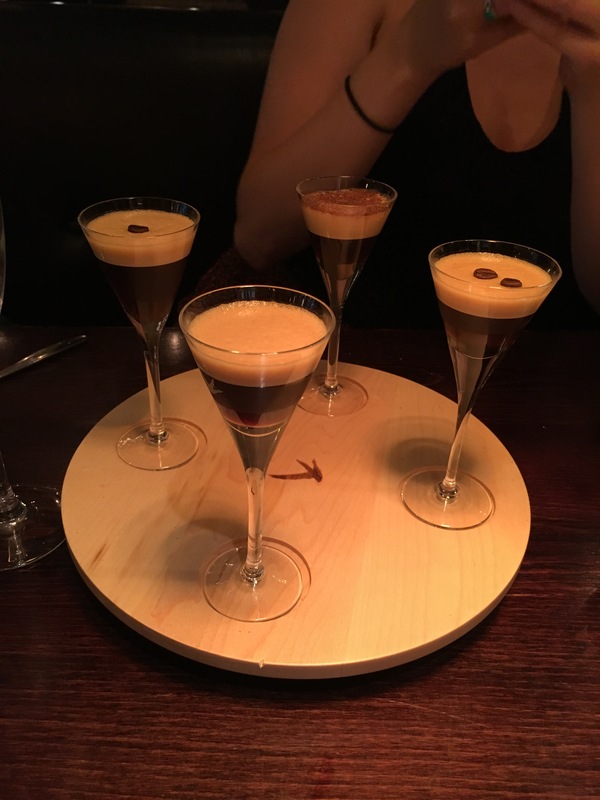 I was recently lucky enough to be invited (albeit as a +1) to Gusto in Cookridge recently by my colleague Jennie who has an amazing blog here. If you flick through my blog you’ll be able to see that I am a foodie, and trying to become a more committed blogger. If you looked at my waistline, you’d also probably be able to tell I like my food. So to be invited to a blogger masterclass seemed like a no-brainer. 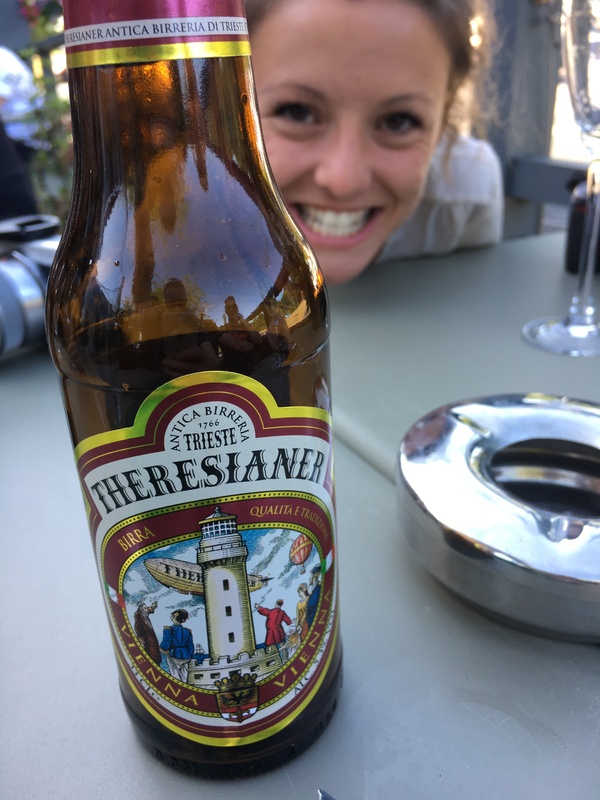 I have always been a fan of Gusto, and I have written previous reviews praising them, not only for their fine Italian food but because they stock a beer I can’t seem to get anywhere else, Theresianer lager. After settling in with my favourite tipple I got to experience a fantastic cocktail masterclass. 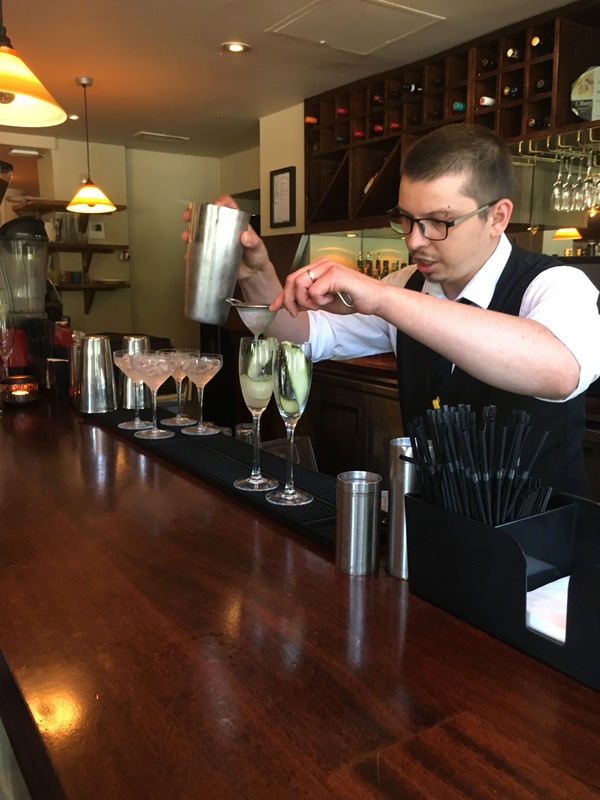 We enjoyed a English 75, Lychee Sour Martini and a delicious Cucumber & Elderflower Martini. PS: For my many vegan readers… their vegan food is also fantastic! I don’t know what it is but starters are always the highlight for me. It may be because I’m hungry, but I always find art in the starters. I started with delicious arancini balls in a rich and well-seasoned ragu. This was followed by a Pan Roast Lump of Lamb, crispy polenta, pea purée and a red wine jus which was equally delectable. 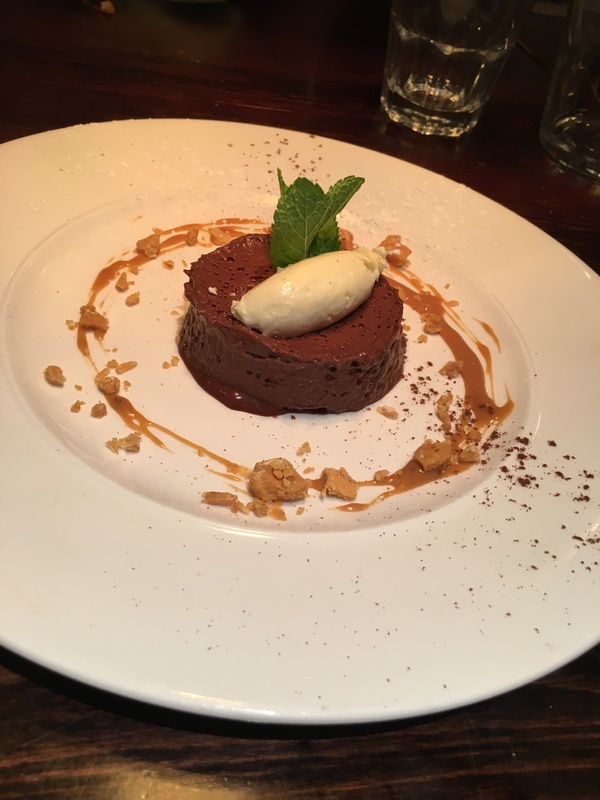 It finished with a near-perfect chocolate mousse and espresso martinis. What more could a man want!? I’d absolutely recommend a visit to Gusto if you get chance, great food and great people.